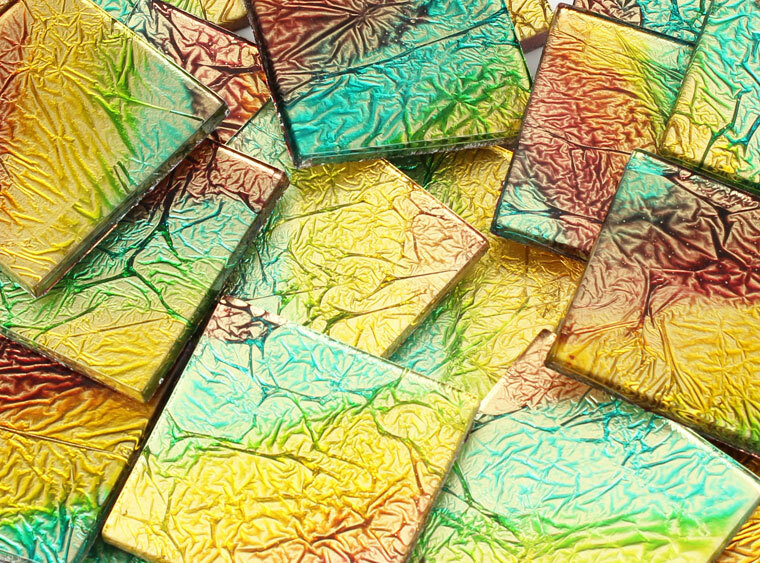 These mesermizing mosaic tiles show off their rainbow of color, just like Peacocks! BI Mosaic tiles offer a variety of decorating options. Use on mosaic bases, bisque, iron furniture, mixed media projects, and more! Simply arrange, glue, grout, and enjoy. Imagine the possibilities!